Well hello Monday! I hope you had a great weekend? For my family and I it was a matter of unpacking and settling in back home punctuated by the odd dip in the Öresund sea. 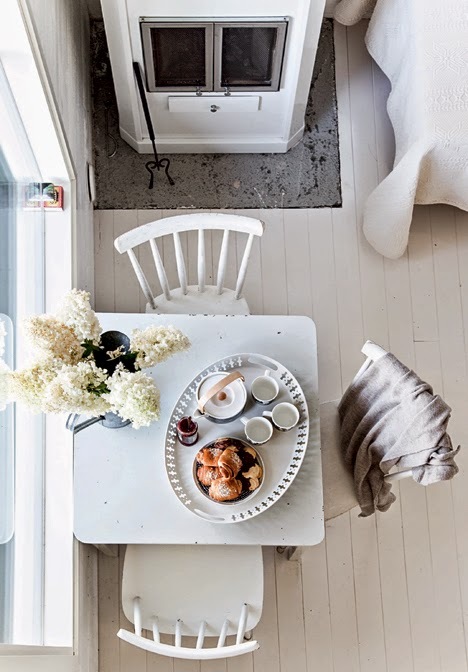 Although my summer holidays are over for this year (sniff sniff), it doesn't stop me dreaming and feel inspired by idyllic Scandinavian holiday homes. 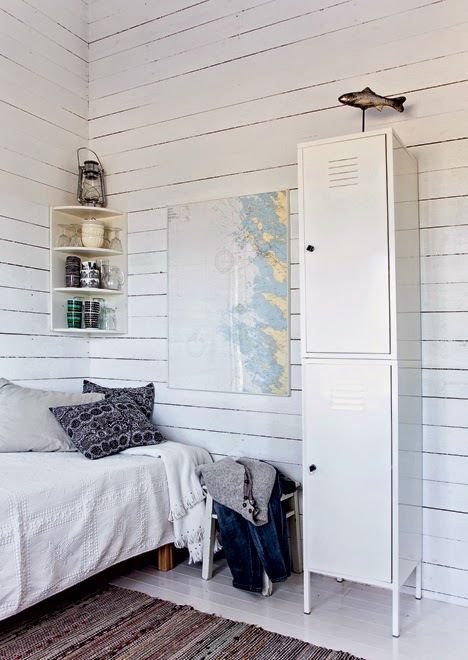 Take this Finnish summer cottage I spotted over at Emmas Design blog, for example. 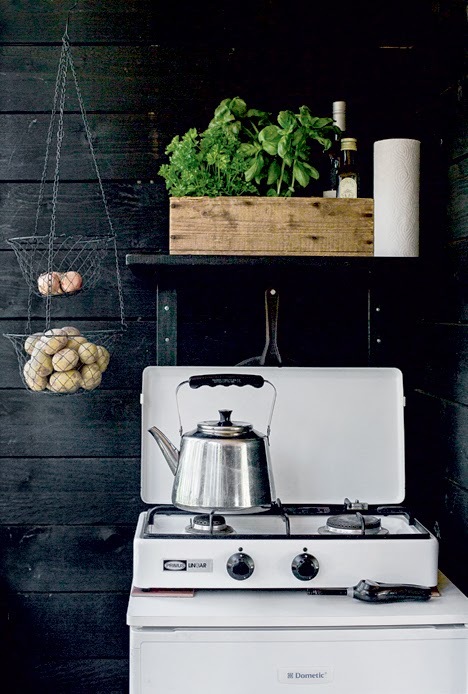 Belonging to Johanna Lehtinen and photographed by Krista Keltanen , this black, white and wood cabin is beautifully simple, letting the surrounding nature do the talking. Just as a holiday home should do. I could spend some downtime here, could you? 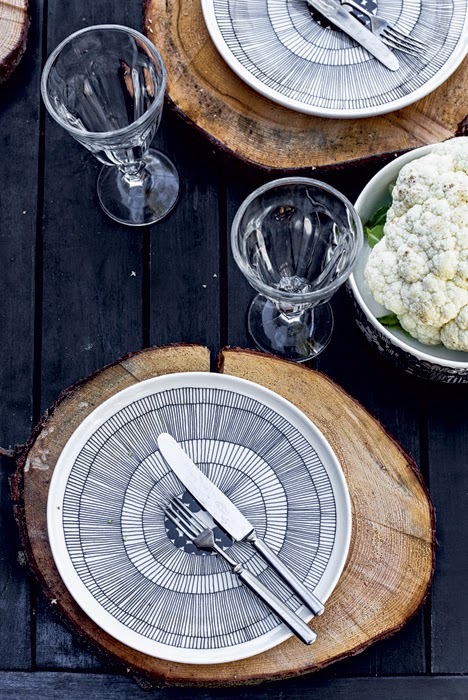 Photography: Krista Keltanen, Bolig Liv. Via Emmas Design blog with thanks. 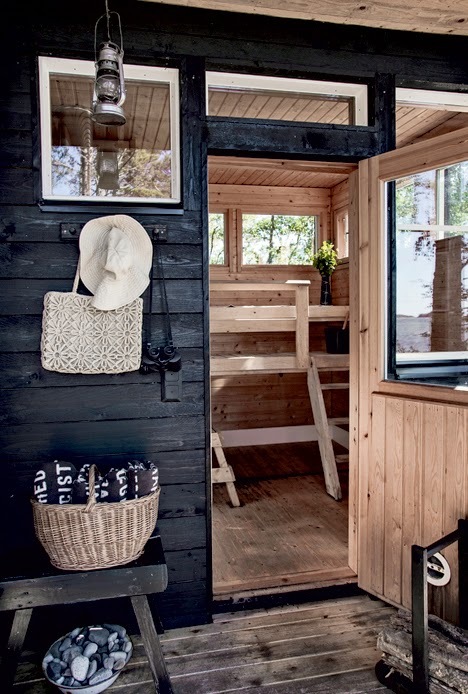 Anything you love in particular about this summer cottage? 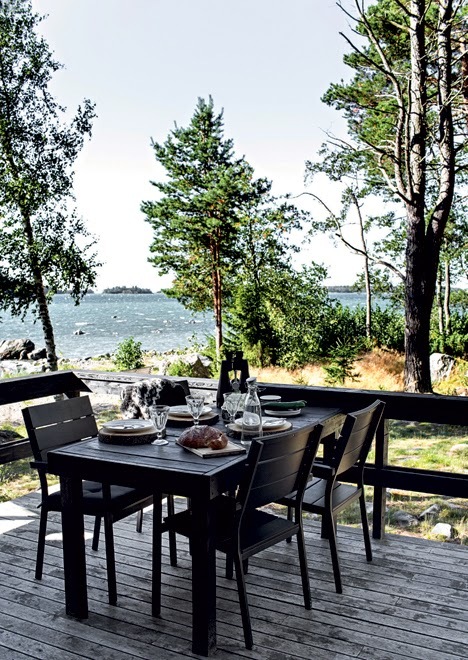 If you're after more Finnish cabin inspiration this bright Monday morning how about this one from Time of The Aquarius (pictures here and here) another fine eample of the pared-back Finnish holiday home style. Great collection of pics. You have done a good job. Any updates coming soon? Anything? EVERYthing..and most the wooden walls!!! Saw this on Pinterest and had to come over to comment. I love this house. 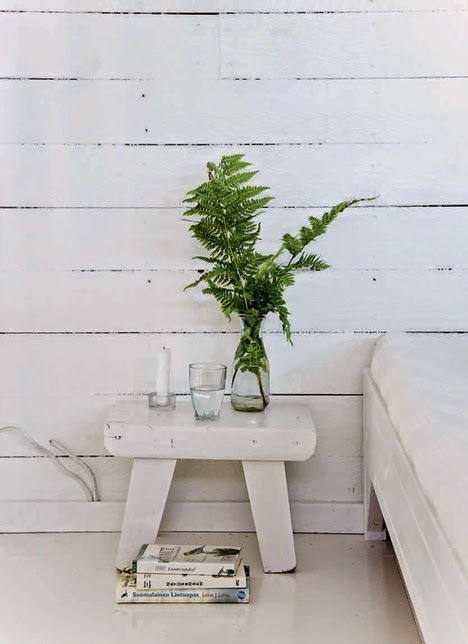 So simple and perfect for a weekend home. 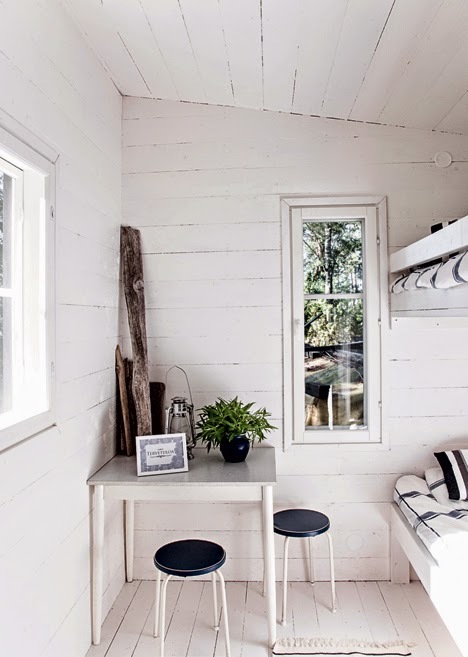 Love this - the landscape is like my home in BC Canada...love the aesthetic of this little cabin. lovely interior design of kitchens, rooms. Its all looking fresh and connecting us with nature. So comfortable........ I like being stay near the seaside to feel the natural....... just a simple environmental design, but could bring us a lot of childhood memories...... thank you for sharing. HEAVEN...am loving it all, and the blue plates just put the final wonderful touch to this beauty.